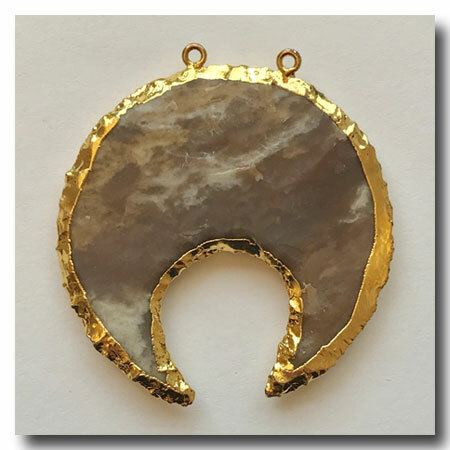 CRESCENT CUT PENDANT MOTTLED BROWN JASPER: Large handcut stone jasper approx. 50x50mm. 24kt gold electroplate edge with double bail. Each piece is artisan created. Slight variations will occur.